Our Sahara excursion began after sunrise leaving Marrakech. After driving through the Atlas Mountains, we made our fist stop in Ait Benhaddou, an ighrem located between Marrakech and the Sahara. The most incredible thing about this ancient village is the architecture, made up entirely of Moroccan clay. A photo-worthy lookout, am I right? Wandering through the merchant houses and dwellings was an incredible experience; it's no surprise that the town has been a UNESCO World Heritage Site for decades. They used Ait Benhaddou as a backdrop and set for many movies, including, Jesus of Nazareth, The Mummy, Gladiator, and Son of God. After exploring and stopping for some tagine, we drove through Ouarzazate, known as the "Gate of the Sahara" before ending in Boumalne Dades (our hotel stop for the night). To get to Merzouga is a total driving time of about 10 hours, so it is necessary to make stops along the way to make the journey more enjoyable. The next morning we drove the "Road of 1001 Kasbahs" to the small town of Tinghir, famous for their beautiful Moroccan carpet-making. After some more driving and a brief stop at the Todgha Gorges, we finally arrived at Merzouga. We were greeted by our desert transportation, a caravan of camels! We chose our camel, named him Yanni, and hopped on for our trek of the Erg Chebbi dunes and to the Berber village, our home for the night. The camels sit in a funny position with their legs kind of sprawling out underneath them at awkward angles. When they get up to stand, the movement is quite abrupt and imbalanced; one girl in our group even fell off and broke her wrist! When the Berbers say "hold on", make sure you do so! Despite the uncomfortable camel ride through the desert, the views were more than worth it; miles and miles of endless blue skies and sand dunes, and the occasional camel fart. After claiming our tent for the night, we went to explore the dunes. We didn't make it very far; walking in desert sand is quite exhausting, but, we were able to make it to the tip top of one of the dunes for sunset. After sunset, the most incredible display of stars came out; I had never seen so many stars in my life--especially shooting stars! We had dinner at camp (tagine, of course) and a night filled with Moroccan drums around a desert fire, dancing, music and star gazing. One of my favorite days traveling thus far. Our hostel built us an itinerary for our Sahara Desert experience. There are two different areas of the Sahara (Zagora & Merzouga) that you can visit depending on how much time you have. 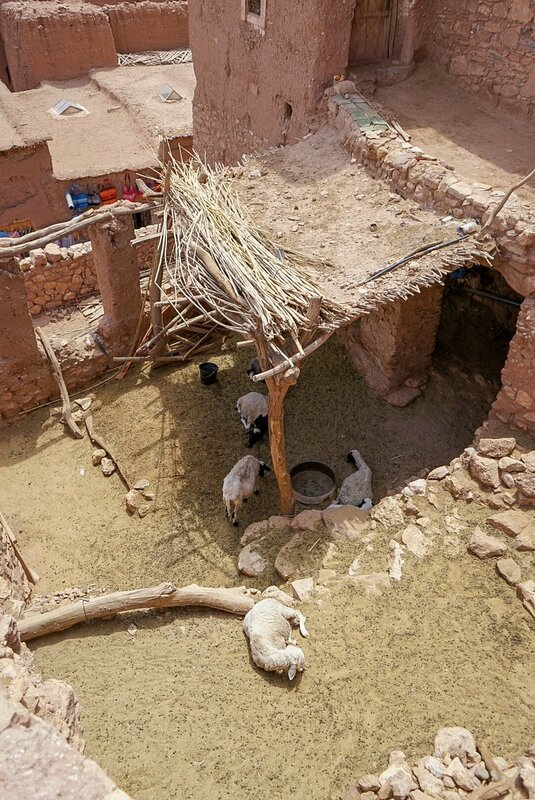 Zagora is much closer from Marrakech but lacks the golden dunes that Merzouga is known for. However, a trip to Merzouga needs a minimum of 3 days if you don't want to spend 90% of it driving in a hot van.